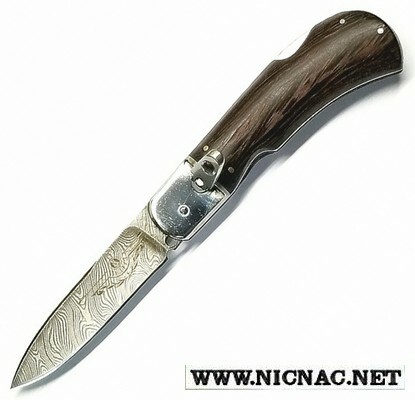 Here is a unique collectible automatic stiletto knife from Russia with stainless bolster and pins and a brass button. The handle is micarta and it has a lanyard loop on the bottom that is also used as a safety when closed. It is overall open length 8 1/2 inches with a blade length of 3 1/2 inches.